IN many countries, including the United States, there are calls for the government to spend more to jump-start the economy, and to avoid the temptation to cut back as debts mount. Germany, however, has decided to cast its lot with fiscal prudence. It has managed rising growth and falling unemployment, while putting together a plan for a nearly balanced budget within six years. On fiscal policy and economic recovery, Americans could learn something from the German example. Twentieth-century history may help explain German behavior today. After all, the Germans lost two World Wars, experienced the Weimar hyperinflation and saw their country divided and partly ruined by Communism. What an American considers as bad economic times, a German might see as relative prosperity. That perspective helps support a greater concern with long-run fiscal caution, because it is not assumed that a brighter future will pay all the bills. Even if this pessimism proves wrong more often than not, it is like buying earthquake or fire insurance: sometimes it comes in handy. You can’t judge the policy by asking whether your house catches on fire every single year. Keynesians have criticized fiscal caution at this point in the economic cycle, arguing that fiscal stimulus will give economies more, not less, protection against adverse events. But is that argument valid? Certainly, in Germany, the recent history of fiscal stimulus wasn’t entirely positive. After reunification in 1990, the German government borrowed and spent huge amounts of money to finance reconstruction and to bring East German living standards up to West German levels. Millions of new consumers were added to the economy. These policies did unify the country politically but were not overwhelmingly successful economically. An initial surge was followed by years of disappointing results for output and employment. Germany’s taxes remain high, and overall West German living standards failed to rise at the same rate as those of most other wealthy countries. Persuading former East Germans to spend more as consumers turned out to be less important than making sure that they had the skills to mesh with the economic expansion of the country. It is no surprise that many Germans are now skeptical about debt-financed government spending or excessive reliance on domestic consumers. In recent times, Germany has shown signs of regaining a pre-eminent economic position. Policy makers have returned to long-run planning, and during the last decade have liberalized their labor markets, introduced greater wage flexibility and recently passed a constitutional amendment for a nearly balanced budget by 2016, meaning that the structural deficit should not exceed 0.35 percent of gross domestic product. 1. I am not sure why the American left so near-unanimously lines up behind Keynesian recommendations these days. (Jeff Sachs is an exception in this regard.) There are other social democratic models for running a government, including that of Germany, and yet a kind of American “can do” spirit pervades our approach to fiscal policy, for better or worse. Commentators make various criticisms of Paul Krugman, but putting the normative aside I find it striking what an American thinker he is, including in his book The Conscience of a Liberal. Someone should write a nice (and non-normative) essay on this point, putting Krugman in proper historical context. 3. There really is a supply-side multipler, and a sustainble one at that. 4. The phrase “fiscal austerity” can be misleading. Contrary to the second paragraph here, even most of the “austerity advocates” think that the major economies should be running massive fiscal deficits at this point. (And Germany had a short experiment with a more aggressive stimulus during the immediate aftermath of the crisis.) They just don’t think it works for those deficits to run even higher. 5. The EU is an even less likely candidate for a liquidity trap than is the United States. That said, how to distribute and implement additional money supply increases would be a serious political problem for the EU. Simply buying up low-quality government bonds would work fine in economic terms, but worsen problems of moral hazard, perceived fairness, and so on. This problem should receive more attention. This is all very nice, but it’s worth pointing out that Germany’s programme of fiscal stimulus was among the largest in Europe (across developed nations). Germany’s unemployment rate is low, and it declined through some of the worst portions of the recession, but it’s important to point out that this is due in part to an ambitious work-sharing arrangement, in which employers are encouraged to reduce individual hours worked rather than lay off employees. This policy certainly helps to mitigate job losses during a downturn (which makes for great countercyclical policy, and which reduces the fiscal cost of recession) but it’s more likely to delay necessary structural reforms than accelerate them. And finally, as you can see at right, Germany is one of the few large European economies to increase its deficit from 2009 to 2010. And its planned deficit reduction in 2011 is among the smallest in the euro area. If Germany is more successful than other economies at pulling through recession, it may be because it’s better at performing the ideal policy move—a move the that Mr Cowen appears to criticise when it’s urged by members of the American left—bigger short-term deficits followed by a credible switch to fiscal tightening down the road. Mr Cowen’s point still stands, to some extent; other countries shouldn’t berate Germany for having the good sense to do what they ought to be doing. But I don’t think it’s quite accurate to sell the German experience as one of a triumph of structural savvy over countercyclical good sense. These policies did unify the country politically but were not overwhelmingly successful economically. An initial surge was followed by years of disappointing results for output and employment. Concerning Krugman’s first and second points, while no one was concerned about the West German unemployment rate post-unification, there certainly were concerns about the East German unemployment rate, which means that there were, at the very least, regional deflationary concerns specific to East Germany; note Krugman’s own comment that high unemployment brings about deflation as a “proximate risk.” As noted here, the unemployment rate in East Germany in 1992 was a whopping 15%. It went up to 16% in 1993, and remained steady in 1994. It was between 7-8% in West Germany during those periods. Unemployment in the former East Germany remains higher than it does in the West. Thus, contra Krugman, there were very real unemployment concerns post-unification, as East Germany struggled on the labor front, which helped raise legitimate deflationary concerns. The German government’s spending, as a consequence, did take place in depressed demand conditions, with high unemployment in East Germany haunting German policymakers. When a customs union was created between the former East Germany (German Democratic Republic) and West Germany (the “old” Federal Republic of Germany), there was a dispute over the rate of exchange for conversion of East German money to Deutschmarks. The Chancellor (Helmut Kohl) decided to ignore the advice of the Bundesbank, and chose an exchange rate of 1:1. The Bundesbank feared that this would be excessively inflationary as well as very significantly impairing the economic prospects of the area of the former East Germany. This dispute was particularly public because of the Bundesbank policy of communicating openly on such matters. Although public opinion normally supported the Bundesbank in matters of combating inflation, in this case Helmut Kohl prevailed, and the President of the Bundesbank, Pöhl, resigned. 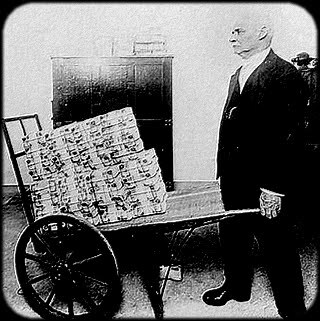 The Bundesbank had to use monetary measures to offset the inflationary effect. So deflation was avoided, and rates had to be raised. But they weren’t raised because the German economy had reached anything resembling full employment, with low demand. No one could argue that it had, with East German unemployment rates hovering in the 15-16% range. Yet, reading Krugman, one would naturally think that East German unemployment simply was not a factor. All of this shows, of course, that Cowen has the better of the argument, both in terms of the debate over the German economy in the immediate post-unification stage, and in the debate over what Germany–and the United States and other developed countries–ought to do with regard to future fiscal and economic policies. I understand that Krugman is loath to admit that Keynesian stimulus policies don’t work, and anytime anyone brings forth an example of them not working, Krugman tries to argue that said example is not apt. It should surprise no one that his arguments on this issue have a tendency to be highly misleading. About to hit the road for a long travel day, so don’t have time to do anything except point to the latest debate on fiscal policy: Tyler Cowen says the US could learn some things about fiscal policy from Germany, see here for his summary. But as Paul Krugman points out, it’s not clear what there is to learn since key conditions for fiscal policy effectiveness such as high unemployment and interest rates at the zero bound are not present in one of the key examples from Germany given in the column.